The layout of a classroom plays a very important role in influencing the behaviour of students. In a traditional row and column setup, children tend to feel uncomfortable, not being able to move freely. This irritation, if persists for a long time, can affect their productivity and learning. Preschool equipment should be chosen wisely as it directly affects the mood and environment of the whole class. Before finalising child care supplies, a good amount of time and efforts should be put into planning and research. There are a host of options available in the market today. So, it is important to do your homework properly while selecting and deciding the theme of the classroom. A well-managed, clean, and spacious classroom not only boosts the mood of children but also keeps them motivated. They feel independent as they can move freely and choose where to sit. They are allowed to collaborate with anyone, any group of their likings and preferences. They can feel comfortable and relaxed while learning. A modern classroom should be equipped with new technologies so that even the lecturer feels comfortable while teaching. It also enhances creative thinking and signifies how much you care about your children. A Wi-Fi enabled classroom makes learning easy. Make sure that there is enough space for the children to move freely. 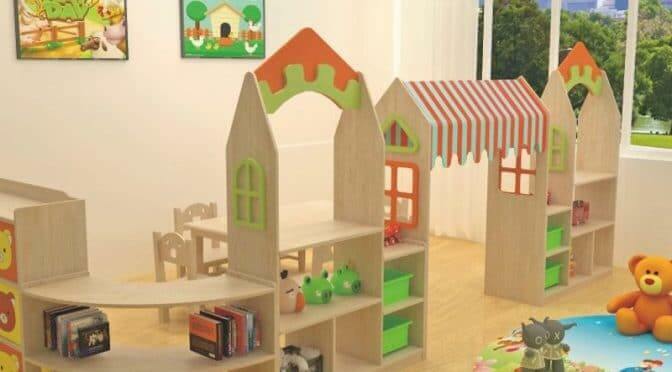 The design of child care furniture should allow children to move around. A cluttered classroom not only looks messy but it also hampers creative thinking. If the workspace is clutter-free, your mind will come into work or study mode automatically. It will start thinking about new things, new ideas, and new ways to do a particular task. Teaching should not be limited to whiteboards only; projectors should be used for flexible learning. The choice of child care equipment should be made right. It should be flexible. Children should be able to move them around easily whenever there is a discussion going or any activity is on. This type of environment offers them to share any thoughts freely and discuss any doubts with the lecturer. Some examples of portable preschool equipment are stools, cushions, bean bags, blocks, and mats. A modern classroom equipped with flexible child care supplies and latest technology facilitates active learning. It creates a positive attitude and mindset towards learning new things. According to some studies, the design of a classroom has a positive impact on engagement. Active learning opportunities motivate the lecturer also in dedicating his time and efforts while teaching the students. Some studies also reported that active learning and student’s engagement increased their grades to a significant amount of level. If there is an engaging atmosphere, even the naughtiest child will try to focus and engage in ongoing activity actively. So keeping these benefits in mind, plan a layout and design of the classroom to make your children happy!